CHITA, June 5. /TASS/. 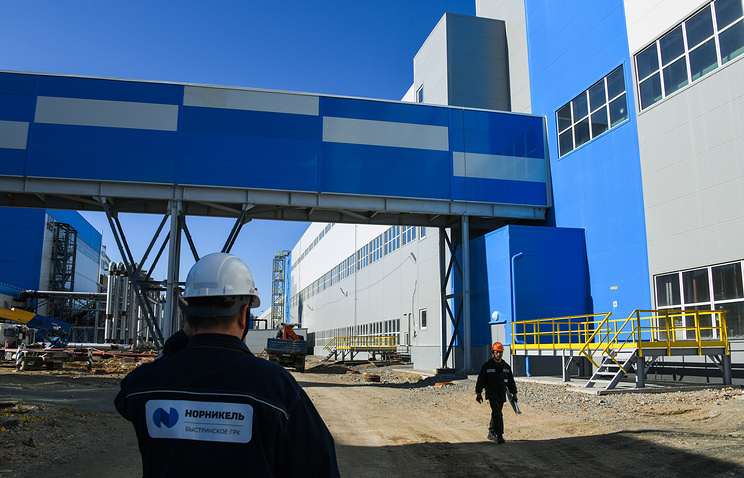 Four new Komatsu mine trucks came to the Bystrinsky mining plant, which Nornickel had built in the south-eastern Trans-Baikal Region. The trucks cost about $10 million, Press Secretary of the Bystrinskoye mining company Konstantin Veresov told reporters on Tuesday. "Four Komatsu mine trucks have come to the Bystrinsky plant," he said. "They will begin working before end of June." "Investment in buying of this mining equipment was about $10 million," he added. According to the press secretary, the trucks are top reliable and productive. "Komatsu has made only 44 trucks of this model, and four of them have been bought for the Bystrinsky plant," he said. "The trucks are adjusted fully for work in the Trans-Baikal Region’s complicated climate conditions." The vehicles have onboard computers to follow-up online the transportation process and to report conditions of a truck’s all systems and parts. The payload of the truck, which weighs 140 tonnes, is about 180 tonnes. "The trucks now are at a special facility, where Komatsu’s specialists serve and test them," the mining company’s press secretary said. "Within the entire lifecycle, the trucks will be served and repaired by the producer’s official representatives - their special facilities are located in the plant’s territory." The Bystrinsky mining and processing plant is located in a hard-to-reach area of the Trans-Baikal Region, some 500km from Chita. In 2019, the plant will reach the projected capacity of about 3 million tonnes of magnetite concentrate and 260,000 tonnes of copper concentrate. Further on, the plant will begin to produce gold-containing concentrate.